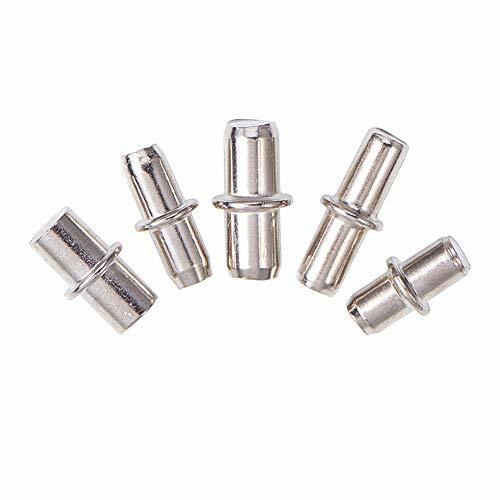 INCREWAY 5mm/6mm Diameter Pack of 200 Nickel Shelf Support Divided Pin by INCREWAY at Defy Now. MPN: INC-HW06-013. Hurry! Limited time offer. Offer valid only while supplies last. 5 Sizes: 5 x 13.5mm, 5 x 16mm,5 x 19mm,6 x 14mm,6 x 17mm. Fit for most kitchen cabinet, closet, bookshelf, book case and other shelves. Easy to install：very easy to install and convenient. Packing Box : Removable dividers and Tight Box Cover Slot , these small grids are separated individually which you can take off easily to accommodate . There are slot under the box cover so that the grid could be tightly closed, which make the storage more safety. If you have any questions about this product by INCREWAY, contact us by completing and submitting the form below. If you are looking for a specif part number, please include it with your message.